There are a huge range of carpets out there available in so many colours, styles, shapes and designs it’s almost impossible to count them all. It’s even harder to make a decision about which one you want to buy. Whether you want one with thick pile or thin, self-cleaning technology, cut or loop fibres, the list of requirements goes on and on. But every time the most difficult decision any carpet buyer faces is whether to buy a plain one or one decked out in a pattern. While a lot of it may be down to personal preference (sorry, we can’t help you there!) each one does have its pro’s and con’s. Plain carpets are the most common, so you are most likely to find at least one in every home throughout the country. They are available in a wide variety of colours and textures to match your décor, but keep to one constant colour throughout. You can choose different colours and textures for each room to give it its own personality without worrying about clashing patterns, perfect for those who love a deep pile carpet to sink their toes into in the bedroom, but aren’t as fond of it in the kids play room. A plain carpet is perfect for giving a subtle change to a rooms design without being overly dramatic. They are also fantastic balancers, allowing you to mix heavily patterned furniture without worrying about clashing. Plain colours carpets also prevent bold elements from becoming too overpowering and add a touch of sophistication and minimalism. Plain carpets and fantastic for small spaces. Using a pale colour like cream or beige gives the illusion of airy space without feeling confined or artificial. A plain carpet also gives you much more flexibility in terms of decoration and room function, as you can easily move things around without worrying about anything clashing or not working. If you finish filling the room and decide the room looks a bit too plain, adding a colourful rug can bring some life to the room without sacrificing that spacious look. The main downside to plain carpeting is that stains and marks are very visible. Particularly if you have cream carpets and pets, it can sometimes feel like it’s impossible to keep them clean. While self-cleaning and hard wearing styles can mitigate this, it is still something to consider. 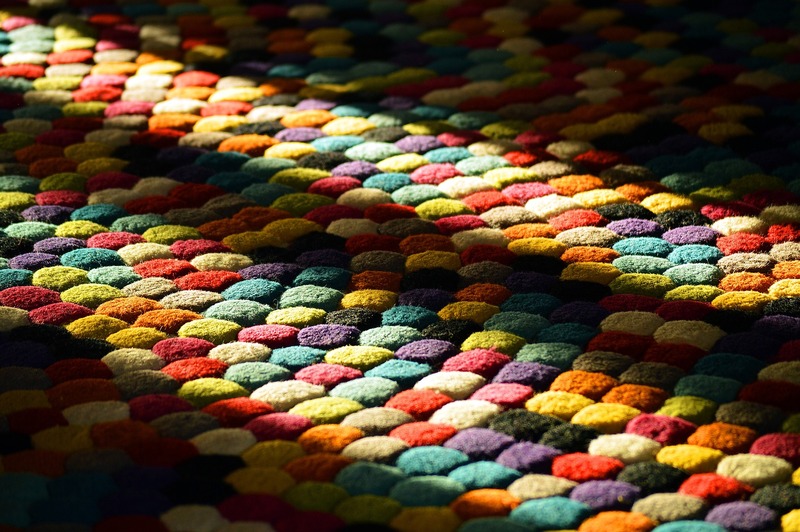 When we say ‘patterned carpet’, did you think of those garish florals or highly detailed twists and knots? Most people do. The bad news is you will still find those carpets in homes and indeed for sale. What can we say, some people love a classic. But the good news is that patterned carpet has come a long way since those early designs. There is now a general trend back towards patterned carpets, but with much subtler designs. Patterned carpets can come in simple check and stripes to add dimension to a room, or in full cityscape complete with roads and trees for kid’s rooms. Pattern in carpets can come in a complete print or as a sewn in in pattern to add a marbled or swirled finish. They are also fantastic for busy homes full of people, or those who don’t have a lot of time for housework over the once a week hoover. That’s because their patterns disguise spills, stains and other marks, making a carpet appear cleaner than it actually is. 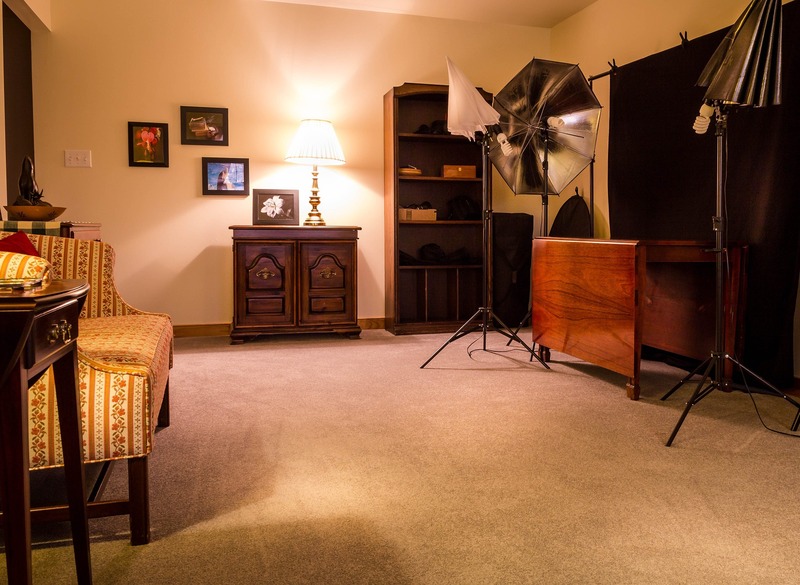 Of course, patterned carpeting can quickly become overwhelming or clash with other elements in your home, so it’s important to choose your pattern carefully. Patterned carpeting works best in rooms with furniture and walls in a neutral colour scheme, with lots of grey, beige and cream style colours. By matching a patterned carpet with a muted colour scheme you are avoiding clashes between colours and patterns, allowing the carpet to stand on its own merit. They also work particularly well in smaller rooms that feel cramped because they create the illusion of space. 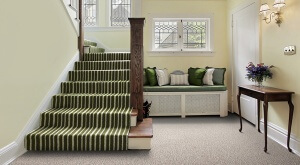 This is particularly true for carpets with vertical stripes, which lend themselves to stairs and hallways. If you have a subtly patterned carpet, you can bring out the pattern with accessories matching its colour, like lampshades and cushions. The idea behind this post is to remind you that patterned carpet doesn’t have to look old fashioned, garish or ugly. It can look beautiful if put in the right place within your home, so you shouldn’t discount it as an option while hunting for carpet. While everyone loves a classic plain carpet, that doesn’t mean your entire home needs to be decked in it. For more advice about which style of carpet to choose for your home, just get in touch with the experts.